A number of grassroots initiatives and organizations are revitalizing Detroit as a testing ground for urban innovation. 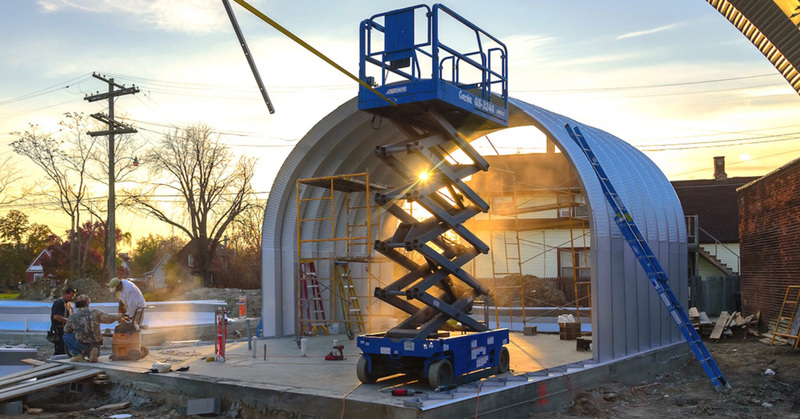 Edwin Chan and his Los Angeles–based design practice EC3 recognized the potential of the city’s underutilized community spaces and recently completed True North Detroit, a half-acre live-work community made from lightweight prefabricated Quonset huts. 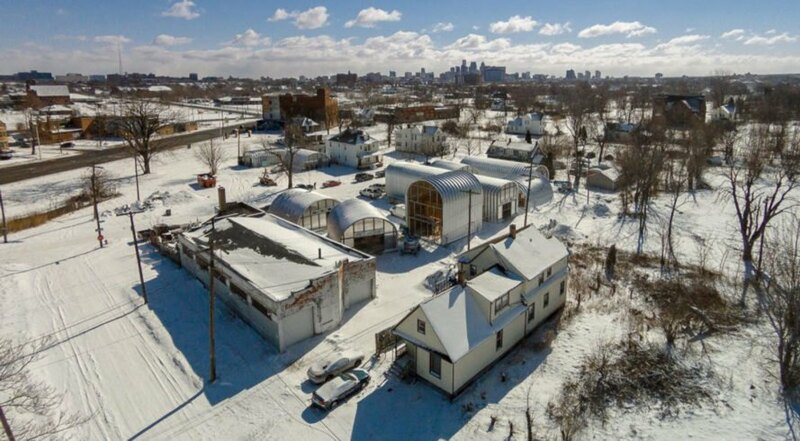 This small complex of nine vaulted buildings offers affordable housing for Detroit’s growing creative population. Located in the Core City neighborhood, about two and a half miles northwest of downtown, the community breathes new life into an area that consists mostly of vacant lots. The architects modified the original shape of the Quonset huts to create more elongated, higher spaces ideal for a variety of activities. The center island houses the kitchens, bathrooms, and utilities. 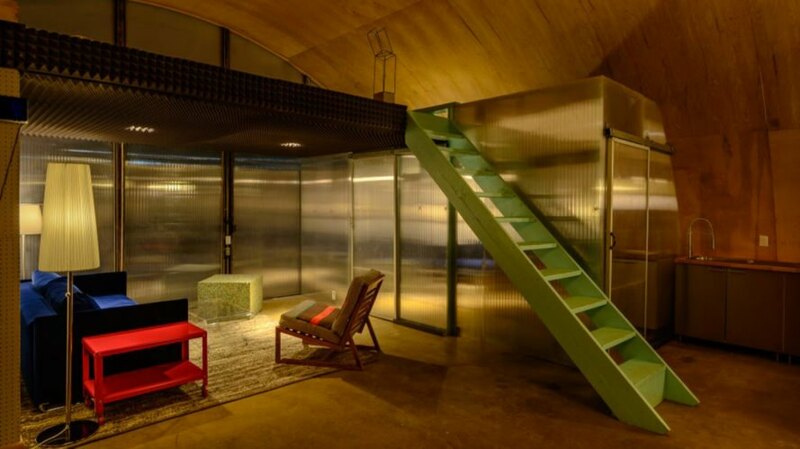 This space is built from durable polycarbonate, while the rest of the structure has a more transparent envelope that allows natural light into the interior. Affordable materials and building methods were used in the construction of the apartments, which range from 475 to 1,600 square feet. 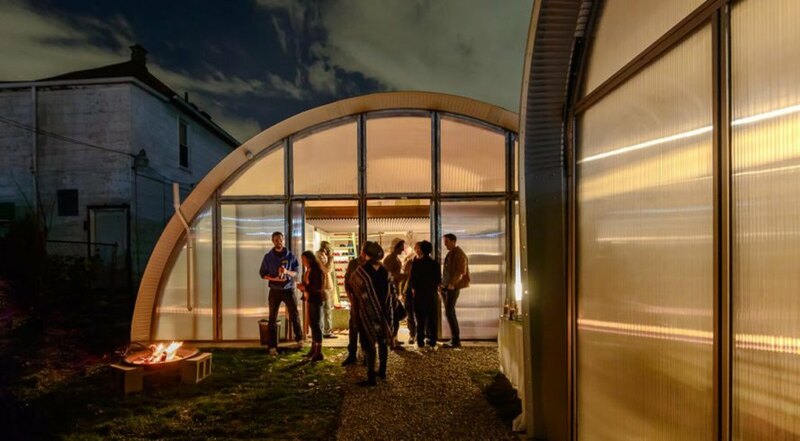 Edwin Chan and his Los Angeles–based design practice EC3 recognized the potential of the city's underutilized small community spaces and recently completed True North Detroit, a half-acre live-work community made from lightweight prefabricated Quonset huts. 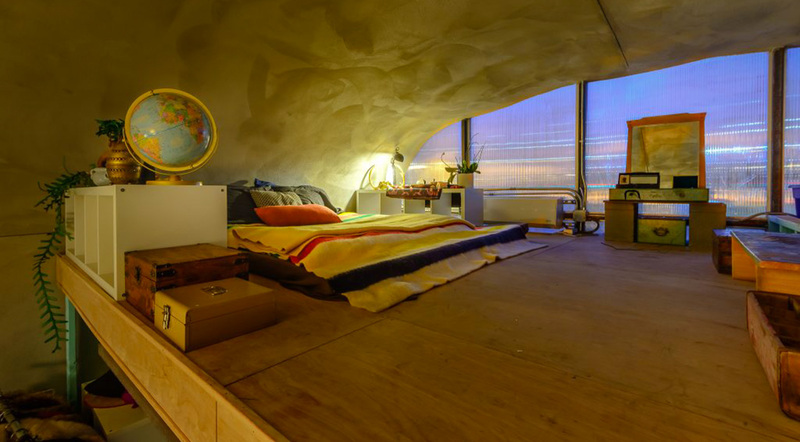 This small complex of nine vaulted buildings offers an affordable housing alternative for Detroit's growing creative population. Located in the Core City neighborhood, about two and a half miles northwest of the downtown, the community breathes new life into an area that consists mostly of vacant lots. "The majority of Detroit’s housing stock is either out of date or completely dilapidated," Edwin Chan said. 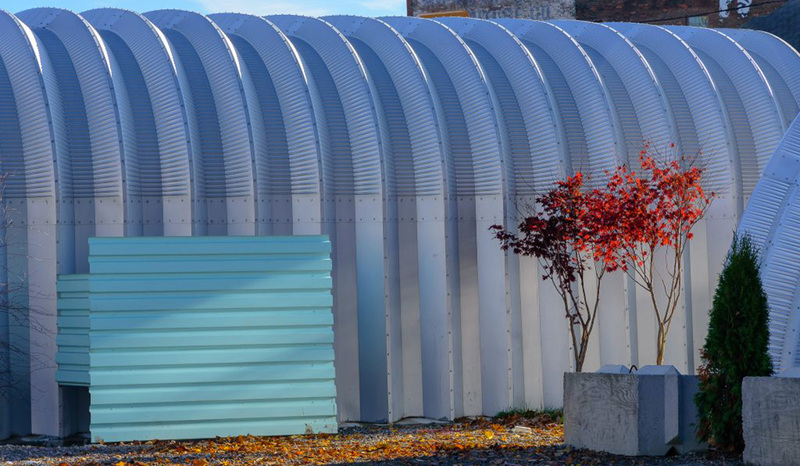 The architects modified the original shape of the Quonset huts to create more elongated, higher spaces ideal for a variety of activities. The center island houses the kitchens, bathrooms, and utilities. 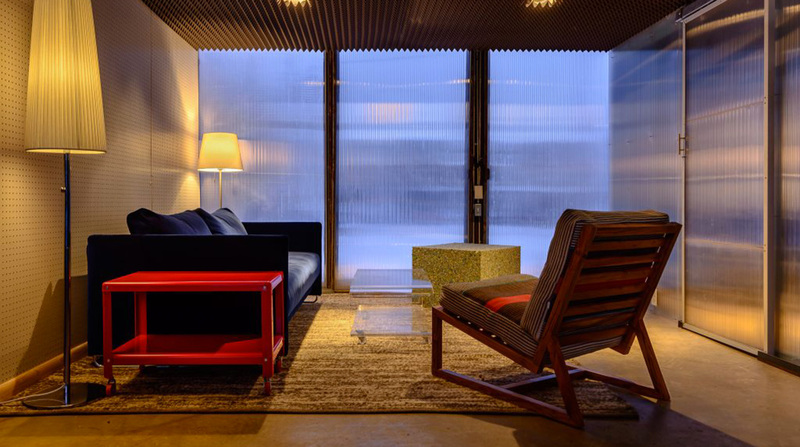 This space is built from a durable polycarbonate, while the rest of the structure has a more transparent envelope that allows natural light into the interior. Affordable materials and building methods were used in the construction of the apartments which range from 475 to 1,600 square feet. A number of grassroots initiatives and organizations are revitalizing Detroit as a testing ground for urban innovation. 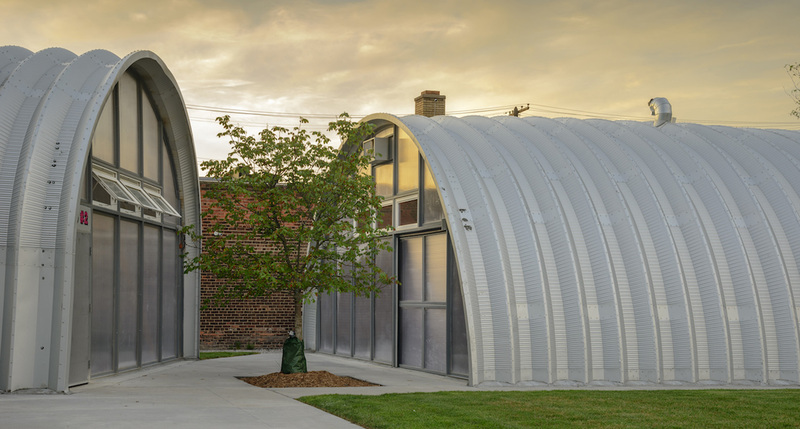 Edwin Chan and his Los Angeles–based design practice EC3 recognized the potential of the city's underutilized community spaces and recently completed True North Detroit, a half-acre live-work community made from lightweight prefabricated Quonset huts.